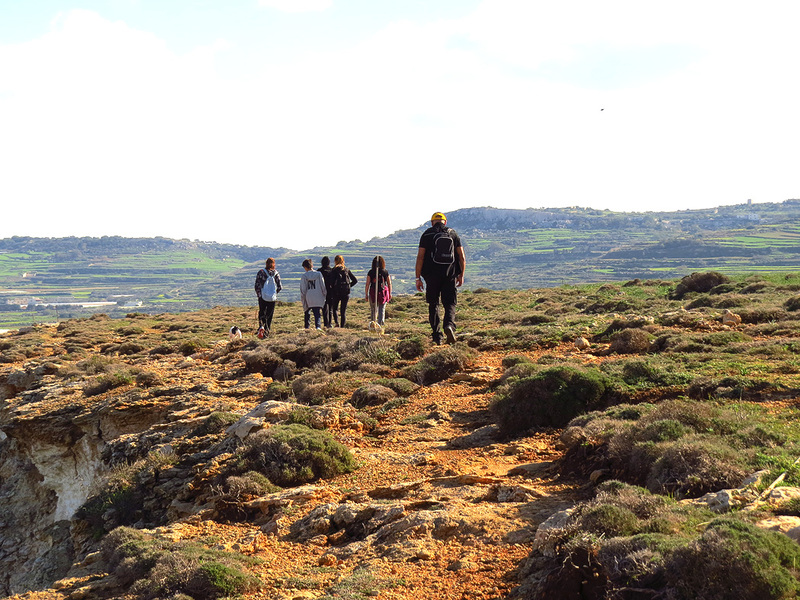 Malta’s mild winters and the brief but sometimes intense rainy season from September to November combine to bring out the best of the Maltese countryside. 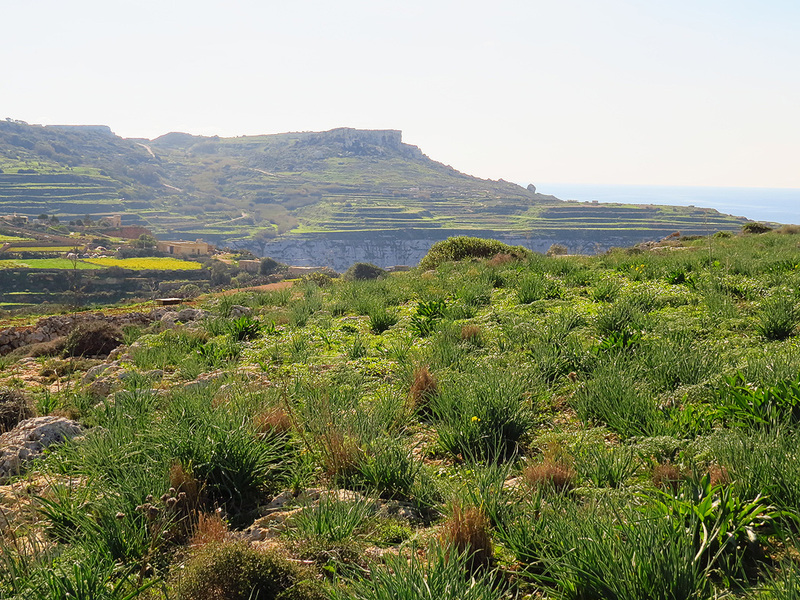 Dry and mostly barren from late May to August, Malta greens over during the brief winter and spring months and many places are transformed into a green carpet courtesy of Mother Nature. 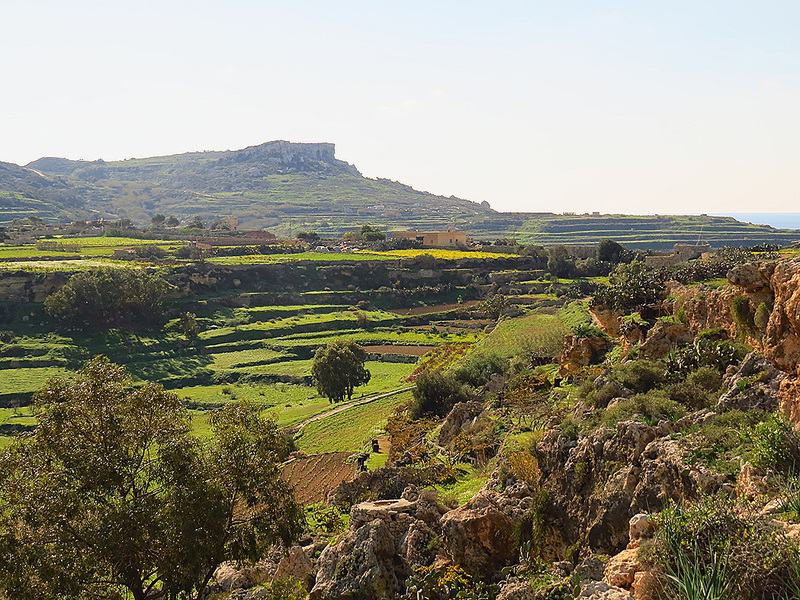 Ras il-Pellegrin (Pilgrims’ Head) is one such place. Pellegrin is a largish garigue plateau standing guard over Gnejna Bay’s southern side. 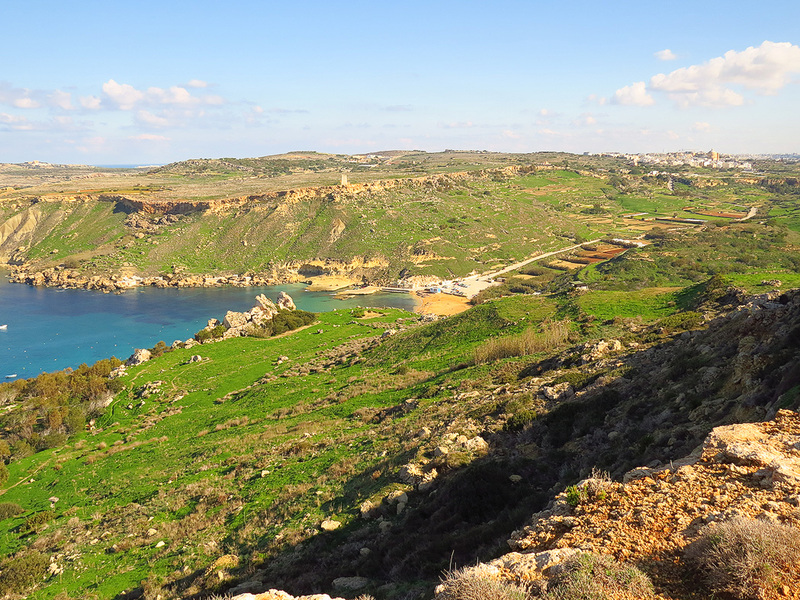 The best way to get here is via the road that from the hamlet of Tas-Santi outside Mgarr takes you to the edge of the cliffs overlooking the remote picturesque bay at Fomm ir-Rih. From here it’s a short five minute walk to reach the plateau and one can spend a pleasant hour going round this piece of elevated highland. The Pellegrin promontory was apparently inhabited in the past. According to archaeologist David Trump a Roman site existed on the plateau’s highest point. A rectangular rock cut cistern is the site’s only discernible remnant however. Easier to make out are Bronze Age cart ruts which appear in places on Pellegrin. Today the most visible constructions on Pellegrin are a couple of trapping sites and one or two tiny one-roomed constructions used by farmers as tool rooms. The real wonder of Pellegrin however is on a sunny winter’s day. The kaleidoscope of colour and sights from this area is truly astounding with views of the sea and the tumbling clay slopes on the side nearest Fomm ir-Rih, while further on there are splendid views over Gnejna and, after that, views over the two lush sheltered valleys which nestle under the promontory. 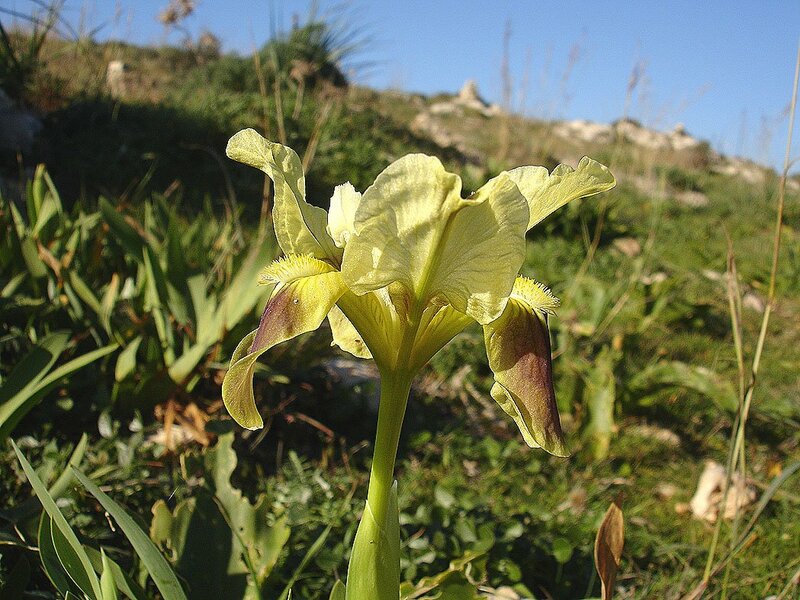 The promontory holds a vast array of local flora, and in late winter and early spring sports a variety of endemic orchids and – perhaps the area’s more spectacular showpiece – a few strands of the very rare Southern Dwarf Iris, a species which comes into glorious flower during February. Note: While the Pellegrin plateau is freely accessible some of the paths leading down from it may lead to privately owned parcels of land. Please respect any signs denoting this.